"By the time this message posts, I might have already put in an order for a brand-new MacBook Pro. And, like any good Machead, the prospect of new hardware makes me miserable. After all, my old PowerBook G4 is incredibly obsolete, and I'm used to its idiosyncrasies. But I can't deal with the idea of something spendy, flashy and new that's behind the curve. I'd rather be way behind the times than just a few minutes off the mark. "...I'm terrified of Apple taking the wraps off a new set of MacBooks and MacBook Pros the second that I invest, and I've lost the ability to accurately predict when the company will jump. Everyone knows the anxiety of the Apple early adopter - what on earth can be done for the agony of the late adopter? Anyone else dealing with the same pain?" "My youngest daughter is quite pleased because this frees up my little MacBook for her. I've been steadily working through getting things transferred and installed on the MacBook Pro and every hour or so my daughter pops in and asks if she can take the MacBook yet." "...I do have a slight concern wearing out the fans on my MBP however. I know that normally machines like the MBP, with tightly engineered components, are designed with certain tolerances in mind and I don't know if running the fan 33% faster than it normally does would dramatically impact the life of the machine." "For a long time, the laptop was regarded as a second machine reserved people on the move, but one was obliged to have another principal machine. "The processors were the first to acquire enough power to break this myth. It is now the turn of the hard drives whose capacity has soared these last years. "Thus, Samsung now proposes the Spinpoint M6, a 2,5" SATA disk that reaches 500 GB . . . that fits well the MacBook Pro 15" and MacBook...."
If you want to ditch your desktop without sacrificing gaming and multimedia performance, these machines could be the answer. "Growing threads on both MacRumors and Apple's discussion forums are reporting intermittent vertical striping with current generation 15" MacBook Pros. "According to affected users, the striping appears to occur when the display is changing brightness, often when waking from sleep or powering up or taking pictures with Photo Booth. To temporarily resolve the issue, users have shut and re-opened the lid or used the ctrl-shift-eject keyboard combination to reset the LCD." "I picked up a MBP 15.4" (2.5 GHz/512 VRAM) on 6/14/08. I knew the LED screen has been horrible due to its inherent limitations, but it's turned out to be much worse, especially when I put it next to my old PowerBook screen . . . with the new MacBook Pro screen, there is a greenish-yellow tint. This characteristics make it unusable for me. I have seen enough of these 15.4" to come to the conclusion that they are all the same low-quality display." "Here's something you didn't know about the MacBook Air's infamously tiny CPU: The shrinkage tech behind it had been collecting dust on Intel's shelf for a couple years since no PC manufacturer was interested in it. When Apple put in the call for a dwarven chip, Intel originally thought what Apple wanted was years away on their roadmap before re-discovering the concept - a year later they had it refreshed and ready to go. Which is the usual breakneck speed Apple moves, Intel's CTO Justin Rattner told Fortune. He also dished that they're collaborating on more breakthrough stuff that's 'equally aggressive.'" "Intel's new integrated power management could dramatically reduce power consumption in your laptop by shutting down operations not being used. 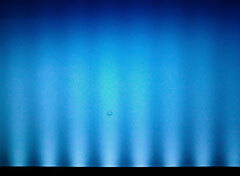 "Intel Research engineers yesterday showed off prototype methods for system-wide laptop power savings. 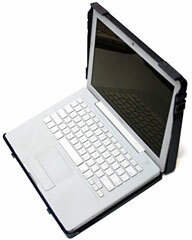 Using the current implementation, average power consumption of a laptop can be reduced from 6.23 to 4.02 watts. The researchers believe that the approach has the capacity to slash up to 50 percent of laptop power consumption." "There were also some significant shifts among the smaller brands, including Apple, which surged to number seven from eight in the first quarter after four consecutive quarters...."
"It's one of a kind, but we wish it weren't - Mac tablet's innovative interface may not be enough to keep it afloat. "The Modbook can do a lot of things a regular MacBook can't. We still don't recommend that you take it for a float in the pool!" "Literally a retrofitted MacBook, this Apple-sanctioned tablet Mac shares the same features and performance. But the Modbook does more - and less - than Apple's portable." "Quite a few people were surprised when Apple revealed that the new MacBook Air had built-in wireless networking but no Ethernet connector. After all, a wireless-only laptop is fine if you're multi-millionaire Steve Jobs and you can afford to sit in first-class airport lounges or posh hotels with all the latest technology at your beck and call. "But, for the rest of us, there are often occasions when we find ourselves in places that don't have wireless networks. In fact, there are times when even Ethernet and broadband internet access can be hard to find. There are, for instance, many hotels here in the UK and dotted around Europe that don't have any internet access at all - unless, that is, you resort to that relic of 20th century technology, the 'dialup' modem." Going Apple's MacBook Air better on several counts, Toshiba's Digital Products Division has announced the addition of a 128 GB solid state drive (SSD) option in their Portégé laptop series. Toshiba's 2.4 pound Portégé R500-S5007V is the world's lightest laptop with a 128 GB SSD and DVD SuperMulti drive and one of the world's thinnest with a SSD and DVD SuperMulti drive. Toshiba is claiming seven "world's first" technologies in the Portégé R500 series, including a transreflective LED backlit indoor/outdoor viewing display and the industry's highest rated EPEAT Gold laptop and Energy Star 4.0 compliance, according to Jeff Barney, general manager and vice president, Digital Products Division, Toshiba America Information Systems, Inc. 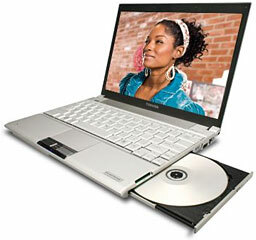 Unlike the MacBook Air, the Portégé R500 comes with a built-in 7mm DVD SuperMulti optical drive, eliminating the bulk, inconvenience, and hassle of carrying additional drives and cables - and having to tie up a USB port. For enhanced outdoor viewing, the Portégé R500s' widescreen 12.1" transreflective LED backlit display can be used in direct sunlight. Outdoors, the transreflective screen lets the sun's light pass through and reflects it out to bring the images on the display to life so users can switch off the LED backlighting while outdoors and decrease overall battery consumption. This feature also makes the Toshiba Portégé R500 series an ideal choice for environmentally conscious users. This display technology also enables users to expand their mobile computing boundaries beyond the traditional four walls of their office, home, or local coffee shop to include locations with direct sunlight. Measuring as thin as 0.77", the Portégé R500 series uses Toshiba's proprietary High Density Mounting Technology process to enable dual-sided motherboard component mounting. This technology produces a motherboard that is one-third the size of a mainstream 15.4" notebook's motherboard while still providing users the same functionality. With a claimed more than eight hours of battery life, the Portégé R500-S5007V provides users a full work day of normal computing on a single charge. To achieve this extended computing life. Key Portégé R500-S5007V components use low power consumption technology including both the 128 GB SSD and an ultra low voltage processor. The Portégé R500-S5007V "Recommended Configuration" carries a MSRP of $2,999, or a bit more than the MacBook Air with its optional 64 GB SSD. Complete product specifications for all models within the Portégé R500 Series are available online. PR: QuickerTek announces the Apple Juicz - a new way to power the Apple MacBook Air using solar power. Three models are priced from $500 to $1,000 and fold to a convenient 10.5" size and come with a Element carry bag. These solar panels charge the MacBook Air while in use. Apple Juicz MacBook Air Solar Charger is a major breakthrough in that it both powers and charges the MacBook Air simultaneously. The MacBook Air has a nonremoveable battery, so alternative power options are welcomed by users, especially 'green' renewable options. All models require an upgraded MagSafe power adapter. QuickerTek can either modify the customer's adapter for $25, or we can sell a previously modified MagSafe power adapter for $100. Either way, military-spec parts are used to fortify the design physically, as well as upgrade it for solar power use. Compatibility with a stock MacBook Air is maintained. Like most QuickerTek products, the Apple Juicz MacBook Air Solar Charger is backed with a one-year warranty on parts and labor. QuickerTek has been a recognized leading innovator of antennas and RF products for Apple Power Macintosh, Mac Pro, iMac PPC and Intel, PowerBook, MacBook and MacBook Pro computers. QuickerTek products can be purchased online and from authorized dealers. PR: miniXpress portable rugged yet stylish cases are made with Aluminum assuring durability, excellent heat dissipation and impact protection, keeping your high RPM SATA hard drive running cool and safe. The drive spin down function ensures efficient operation by automatically reducing power consumption. 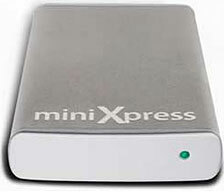 When the laptop or desktop system enter sleep mode, the miniXpress spins down to minimize power consumption. The hard disk spins up automatically when the host system wakes up. 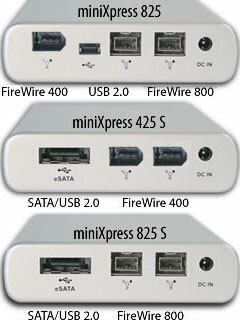 miniXpress customized to give 2.5" SATA HDD users blazing SATA transfer speed and multiple interface connectivity options, the combo miniXpress offers a full spectrum of connectivity options with eSATA, USB 2.0, FireWire 800 and FireWire 400 ports with repeater functionality. The groundbreaking DuoLink eSATA/USB 2-in-1 IO connector (miniXpress825 S &425 S) combines an eSATA and a USB 2.0 port into a single connector. The discreet, "error-proof" connector eliminates potential damage to the enclosure, by limiting the direction in which the eSATA or USB cable can be inserted. Utilizing the latest Oxford 934DS Hot pluggable and Bus powered technology feature allows the FireWire drives to be Plugged or Unplugged with out turning-off or restarting the computer. 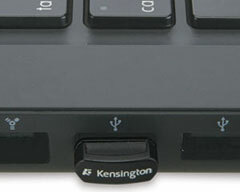 The drive mounts automatically when plugged in to the FireWire Port of the computer. PR: The Exceptional Magnesium Protection Case for MacBook has a form fitting design that allows the user to use the MacBook without removing it from the case while having full access to all of the MacBook's functions. 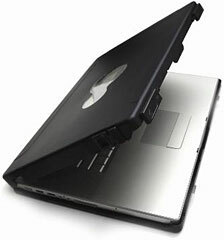 The case's original low profile base with integrated heat conduction plate helps to cool the MacBook when in use. Fully lined with neoprene, the aluminum case protects the MacBook when on the go. PR: Kensington Computer Products Group has announced two innovative new wireless mice that help simplify school and business travel whether across the campus or across the globe. The versatile SlimBlade Bluetooth Presenter Mouse combines the power of two devices into one, while following the notebook's sleep and wake modes so a user never has to turn it on or off again. The ultraportable Ci95m Wireless Mouse with Nano Receiver offers instant connectivity, so it's always ready to spring into action. The ultraportable Ci95m Wireless Mouse with Nano Receiver offers "always on" instant connectivity that users can depend on for maximum working flexibility as they move around campus or around town. The 'plug and stay' nano receiver is so small that it can stay plugged in, so users never need to dig through their bags again, searching for their receiver. Its ultra-thin design, rubberized non-slip grip and 2.4 GHz frequency make it a rugged and reliable traveling companion. 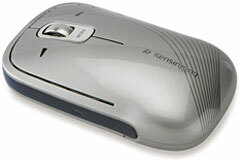 The Kensington SlimBlade Bluetooth Presenter Mouse (SKU K72330US) at a suggested retail price of $59.99 and the Kensington Ci95m Wireless Mouse with Nano Receiver (SKU K72328US) at a suggested retail price of $39.99 are available at Amazon.com, Kensington.com, and major retailers. PR: Targus Inc., maker of the world's top-selling laptop computer cases and accessories, has announced its back-to-school lineup of portable laptop accessories including a High-Speed File Transfer Cable that's both Mac and PC compatible and a new low-cost Optical Bluetooth Laptop Mouse. Targus is also offering students its new USB 2.0 4-Port Bend-A-Hub with a Mini USB Adapter; the Travel Power Outlets with Surge Protection; and HeatDefense laptop cooling system. 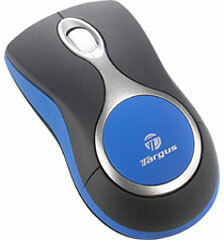 Targus' convenient and affordable products simplify a busy student's life while on the go. "Computers are increasingly becoming an integral part of education and the workplace with vast amounts of data and information being shared and transferred at home, work and school," said Al Giazzon, vice president of marketing at Targus. "Targus' convenient portable products simplify the demanding student lifestyle, allowing them to go from the library to the classroom, with all the accessories they need to make laptop use simple and more efficient." Targus' High-Speed File Transfer Cable is the ideal solution for transferring large quantities of data including videos, music, images, or files whether you are using a PC, a Mac or both. With transfer rates of up to 480 Mbps and its embedded Easy Suite software, Targus' new Transfer Cable allows for a simple, high- speed file transfer without the need to install software or drivers. Save time by plugging in and transferring your favorite music video from a friend's Mac to your PC or a PowerPoint presentation from a classmate's PC to yours. The cable is also ideal when transferring all of your programs and files to a new computer. The File Transfer Cable is 4.92' in length, weighs 1.76 oz, and has an estimated street price of $39.99. Establishing a low price point for Bluetooth enabled mice for Targus, the new Targus Optical Bluetooth Laptop Mouse features premium Bluetooth wireless technology which allows for seamless functionality up to 33-feet away. The affordable mouse offers adjustable cursor speeds between 1600 and 800 DPI with a push of a button and is compatible with both Macs and PCs. To conserve battery life, the mouse automatically shifts into sleep mode when it's not being used and features a convenient on/off switch to extend usage. 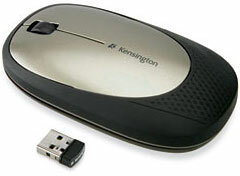 The Optical Bluetooth Laptop Mouse measures 4.1" x 2.1" x 1.4", weighs 2.4 oz, and has an estimated street price of $39.99. With four USB ports, Targus' new USB 2.0 4-Port Bend-a-Hub with Mini USB Adapter offers more versatility and flexibility when connecting mice, keyboards, storage drives, or other devices to your Mac or PC. The new hub features two specialty connectors; one of those connectors can easily adjust to a 90-degree angle for simple accessibility. Additionally, the 4-Port Bend-a-Hub features a mini-USB adapter, which is ideal for charging portable accessories such as digital cameras, cell phones or PDA devices. No external power supply is needed, and users can conveniently roll it up for easy storage, which makes it the perfect gadget for busy students on-the-go. The USB 2.0 4-Port Bend-a-Hub with Mini USB Adapter is 9" in length, weighs 1.8 oz, and has an estimated street price of $19.99. Whether you are at the library or in the classroom, there never seems to be enough outlets for all your needs. The portable Travel Power Outlets with Surge Protection instantly provides outlet expansion with four outlets while providing up to 300 joules of protection for your devices. The compact design makes it an easy fit for hard to reach places, yet is designed to accommodate oversized power adapters. You can now charge your cell phone, iPod and laptop all from one location. The Travel Power Outlets measures 5.5" x 1.25" x 1", weighs 5.6 oz, and has an estimated street price of $19.99. The Targus HeatDefense cooling system keeps your laptop running cool to help preserve battery life and prevent overheating. A crystalline compound material within the HeatDefense panel melts when heat is released from your laptop, creating a thermal capacitor, which absorbs the heat. Compatible with laptops up to 17", the lightweight HeatDefense provides a comfortable user experience and easily folds for travel from one classroom to the next. The HeatDefense measures approximately 13.35" x 11.85" and is available at an estimated street price of $29.99. All products are backed by a limited one year warranty. These and other Targus' accessories are available at Targus.com as well as through leading retailers, e-tailers and computer manufacturers' websites. PR: Targus Inc., maker of the world's top-selling laptop computer cases and accessories, has announced its fall lineup of Back-to-School laptop bags including the environmentally conscious Grove bags, stylish Velos Messenger bags and lightweight Incognito line. Each bag features a padded compartment that fits up to 15.4" widescreen laptops and includes pockets for other essentials students can't leave home without. "Backpacks and laptop cases are more than just a convenient way to carry around your laptop and school accessories, they make a statement," stated Kevin Gallagher, vice president of design at Targus. "Whether you are looking to promote an eco-friendly lifestyle or just want to be fashionable, Targus has a bag to fit anyone's personal style." The Grove cases are composed of PVC-free material, recyclable plastics and nickel-free metal, making them less harmful to the ecosystem. Available in four attractive styles: Convertible Backpack/Messenger (TSB110US), Sling (TSB109US), Topload (TST022US), and Messenger (TSM068US) - you are sure to find one that fits your needs. All four bags offer detailed workstations including storage compartments, a business card holder, key clip and pen loops. The Convertible Backpack/Messenger features backpack straps, which tuck away, so the case can be used as a messenger with a single padded, adjustable shoulder strap. An MP3 pocket with headphone pass-through is available in the Sling, Topload and Messenger bags, allowing students to listen to their favorite music while on campus. The Grove Messenger and Topload include a hidden water bottle holder and back slip pocket with trolley pass-through while the Sling offers a side mesh bottle holder. The Grove Convertible measures 12.6" x 5.51" x 16.14", weighs 2.86 pounds, and has an estimated street price of $79.99. 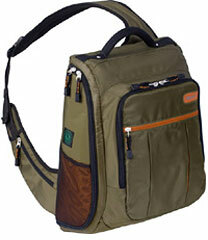 The Grove Sling measures 13.58" x 6.1" x 16.54", weighs 2.29 pounds, and has an estimated street price of $59.99. The Grove Topload measures 14.96" x 5.51" x 12.6", weighs 2.29 pounds, and has an estimated street price of $59.99. 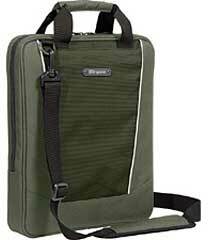 The Grove Messenger measures 14.37" x 4.53" x 13.39", weighs 2.64 pounds, and has an estimated street price of $49.99. The Velos Messenger is available in three stylish color combinations with interchangeable color straps, offering students one case with two exciting looks. The color combinations include: chocolate case with chocolate and aqua straps (TSM063US); charcoal case with black and lime green straps (TSM06301US); and a wheat case with mushroom and orange straps (TSM06302US). To keep your laptop protected, the Velos messenger features a dual cushioned laptop compartment to help prevent drop damage during travel. For a number of storage options, the messenger includes three easily accessible front pockets and one rear slip pocket for notebooks or papers as well as a zippered accessories pocket. 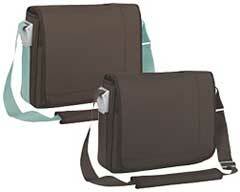 For added convenience, the shoulder strap is adjustable and the handle retracts into the case. 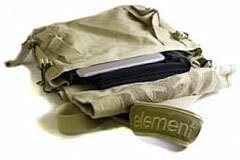 The Velos Messenger measures 14.57" x 3.54" x 12.01", weighs 3.17 pounds and has an estimated street price of $69.99. Targus' new Incognito cases are an affordable, lightweight solution to carrying around every school related item you need. With a large, padded main pocket for your laptop, the Incognito Backpack has plenty of additional room for books, binders and notebooks. Additionally, the backpack is designed with a custom MP3 player pocket with line-out for headphones and an easily accessible front pocket workstation featuring card holders, a cell phone pocket and pen loops. Its padded shoulder straps, back panel and carrying handle offer additional comfort when running around campus. The Incognito is available in three trendy colors - pink (TSB11802US), olive (TSB11801US) and black (TSB118US) for an affordable, yet stylish alternative to the traditional backpack. The Incognito Backpack measures 12.99" x 5.39" x 16.45", weighs 1.97 pounds and has an estimated street price of $39.99. The same affordable, lightweight alternative is also available in a stylish messenger design with two color schemes - grey with pink accents and black with olive accents. Carry your essentials at your side, protecting your laptop with a secure, padded compartment and water-resistant bottom panel, which offers you the peace of mind that your belongings are continuously secure. Stow away all your accessories in the conveniently placed front pocket workstation equipped with an ID holder, pen loops, and pockets for additional accessories and electronics. The Incognito also includes an adjustable, padded shoulder strap and carrying handle to ensure a comfortable experience. Available in two attractive color schemes - black with olive green details (TSM070US) and light gray with pink details (TSM07001US) - the Incognito Messenger measures 14.57" x 5.51" x 12.8", weighs 1.58 pounds and has an estimated street price of $39.99. The Incognito line also includes slim slipcases that are not only a great value but provide an extra back slip pocket for your personal belongings. Its vertical design and adjustable, padded shoulder strap and carrying handle make the Incognito Slipcase the ideal solution for students on-the-go. The Incognito Vertical Slipcase is available in four stunning colors: black (TSS051US), light gray (TSS05101US), olive green (TSS05103US) and charcoal (TSS05102US). All Incognito Slipcases cases measure 14.76" x 2.36" x 12.6", weigh 1.5 pounds and have an estimated street price of $29.99. 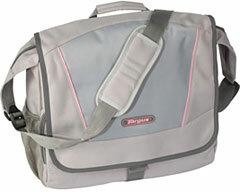 Targus is offering many other back-to-school laptop cases that fit 15.4" or 17" laptops. All products are backed by a limited lifetime warranty. Targus' back-to-school backpacks and laptop bags are available at Targus.com as well as through leading retailers, e-tailers and computer manufacturers' websites. Not much change this week. A glut of 17" MacBook Pros (try dropping the price below $2,000, Apple), the low-end 15" MacBook Pros are sold out, and the 2.4 GHz White Penryn MacBook (perhaps the best deal of the whole bunch) is back. Each model comes with an Apple one-year warranty, and ground shipping is free.